"The devil has no knees; he cannot kneel; he cannot adore; he cannot pray; he can only look down his nose in contempt. Being unwilling to bend the knee at the name of Jesus is the essence of evil. (Cf. Is 45:23, Rom 14:11)"
In 2003 the new General Instruction of the Roman Missal (GIRM) was introduced: A Witness to Unchanged Faith · A Witness to Unbroken Tradition. · This was to help put everyone on the same page during The Mass, the perfect prayer. For many of us, one change implemented by the Archdiocese of Portland didn't fit: to stand after the Agnus Dei, the Lamb of God. Children at the Mass are having a tougher time watching the action of the mass when there is standing after the Agnus Dei. Those making the switch don't seem to have the children's best interest at heart. They are excluded during this high point of our Liturgy. We have waited six years to see if this has helped us be better witnesses in evangelizing Christ as disciples on a mission. Prayer is the greatest weapon against the devil. In this spiritual warfare, it would seem to most that the Archdiocese of Portland would do well to spend more time on their knees. Problem - In the Oregon Catholic Press missal we notice that this statement is there without Footnote 53. This is key. The footnote refers to WHEN a Bishop is allowed to "determine otherwise". The footnote is left off. What does the footnote say? Footnote 53 - from the bottom of page 26 of the GIRM. CF. Second Vatican Council, Constitution on the Sacred Liturgy, Sacrosanctum Concilium, no. 40: Congregation for Divine Worship and the Discipline of the Sacraments, Instruction Varietates legistmaem 25 January 1994, no. 41:AAS 87 (1995), p.304. Varietates legistmaem 41. The liturgy is an action, and so gesture and posture are especially important. Those which belong to the essential rites of the sacraments and which are required for their validity must be preserved just as they have been approved or determined by the supreme authority of the Church. Francis Cardinal Arinze answers Francis Cardinal George's question in the Spirit of Christ as we strive to be a "Witness to Unchanged Faith · A Witness to Unbroken Tradition"
"Unless the diocesan bishop determines otherwise"
Are there any limits to a bishop’s authority to change liturgical rules? Several bishops have issued new directives, recently, concerning the people’s posture and/or gestures at Mass. Some of these are either not in accordance with the liturgical regulations for the United States, or interpret them inconsistently. People are confused. Are all dioceses in a given country supposed to follow the same rules for the celebration of Mass? With few exceptions, yes — in part to protect the "substantial unity" of the Roman rite, diocesan bishops are to observe the liturgical regulations that are adopted by the Conference of Bishops and approved by the Holy See. Are there limits to the changes in liturgical rules a bishop may impose within his own diocese? With the implementation of the Institutio Generalis Missalis Romani (IGMR) and the "American adaptations" last spring, the matter of the authority of a diocesan bishop to change these rules has taken an unexpected turn. Explanations for changing the liturgical norms usually stress that uniformity of gesture or posture is required to express unity; and that obedience to the bishop supersedes custom and tradition. Some who depart from approved adaptations for the US — for example, by forbidding kneeling after the Agnus Dei, or requiring all communicants to stand until after the last person has received Communion — say that the bishop is following the mandate of the "universal Church", the Holy See, and even the Holy Father himself. A bulletin insert distributed in the archdiocese of Seattle states unequivocally that "These changes are happening at the direction of the Holy Father, Pope John Paul II"; obviously derived from liturgical instructions distributed by the Worship Center of the archdiocese of Minneapolis-Saint Paul, written by Jesuit Father Dennis Smolarski, SJ, which says, "Ultimately, these changes are happening at the direction of the Hoy Father" — a misleading statement, at best. The Diocese of Saint Cloud uses the Minneapolis material. There may be others, as well. In every diocese where these deviations occur, the response of Catholics ranges from confusion and distress to anger and distrust. The question of a diocesan bishop’s power to change the rules surfaced as an item of lengthy debate at both the June and November 2001 meetings, when the bishops voted on the American adaptations that would be incorporated into the text of the IGMR. The focus of the dispute was whether a local bishop may dispense his diocese from observance of the accepted liturgical norms for the United States, and may, on his own, choose to follow different rules (presumably, the un-adapted IGMR). One thing that is clear, in all the confusion, is that the question of the limits of a bishop’s authority over the liturgy within his own diocese is unresolved. A review of the bishops’ debate on this and related questions (posture of the people during Mass) may be helpful in clarifying the position of the Conference — and most bishops. But it is also apparent that the issue reveals a deep cleavage among the US bishops, and the dissent of some bishops from the liturgical norms for the whole country is emerging as a serious pastoral problem in their dioceses. The context of the discussions about the extent of a diocesan bishop’s authority, at both the June and November 2001 meetings, was the adaptations proposed for IGMR 43, on the posture of the people during the Eucharistic Prayer, kneeling after the Agnus Dei and after reception of Communion. The following excerpts from audio-tapes of the discussion and vote on the Adaptations and related matters that took place June 15, 2001 at the bishops’ meeting in Atlanta and on November 14, 2001 in Washington, give a sense of the controversy. However, the release of the third typical edition of the Missale Romanum (Roman Missal), with its revised set of liturgical rules, Institutio Generalis Missalis Romani (IGMR) issued in Latin in 2000, occasioned proposals for "American adaptations", or variations for the Church in the United States. A principal "adaptation" considered was that of the posture of the people during the Eucharistic Prayer. Archbishop Oscar Lipscomb of Mobile, Chairman of the Bishops’ Committee on the Liturgy (BCL) introduced the debate and vote on the "revision of the Appendix to the General Instruction of the Roman Missal in the light of the recent revision of the General Instruction which we have received. It deals primarily with those responsibilities assigned to Conferences of Bishops by the General Instruction". Bishop William Weigand [Sacramento]: The last phrase of that: is that in the General Instruction? The phrase "as specified by the diocesan bishop", and if so, what does it modify? To me that’s not very helpful. Does that modify "other good reason", or does it modify "people kneeling beginning from…." Archbishop Lipscomb: The bishop can make that kind of a rule for his diocese, and that’s his function it seems to me. If he wishes to specify. Bishop Weigand: So you want that phrase in there? Archbishop Lipscomb: Well, in other words — I’ve never seen the bishops, you know, objecting to specification on the part of the diocesan bishop in determining the good order of life in his diocese. But, for example, that does not just specify reasons of health, lack of space or number of people present. Those are already approved, that does not specify those. But like instances that may arise on the part of the congregation or the part of the pastor. Those are approved in the text. If there are some other good reasons, then the bishop has to specify those other good reasons. Bishop Weigand: So it wouldn’t — Now, I know there would never be a mischievous bishop, but wouldn’t this give one or other of us reason to break the unity in the country about kneeling? I guess that’s — is this a foot in the door? — which I think we would rather do just up front? Archbishop Lipscomb: We’ll assume a bishop will be conscientious about observing the rule. "Other good reason" is an exception: "except when prevented". And there has to be some cause for an exception, it should not be a general rule. Archbishop Lipscomb called for a vote on the bishops’ proposed amendments to the revision. The procedure involves voting on the acceptance or rejection of these amendments by the Committee on the Liturgy. Bishop Robert Brom, of San Diego, began the discussion in the final debate before the vote. Bishop Brom: I’m happy that the amendment as I proposed was accepted, particularly because it clarifies the question I had yesterday in reference to the first part: "The faithful kneel" — instead of "may kneel" — "at the Ecce Agnus Dei unless the diocesan bishop determines otherwise". But I have a question now in reference to that phrase: "unless the diocesan bishop determines otherwise". Bishop Brom: It doesn’t mean that the diocesan bishop may establish a very personal norm? Bishop Brom: It means, unless the diocesan bishop determines to follow the general norm? Is that what it means? Archbishop Lipscomb: Well — Yes, but the "otherwise" obviously is in light of that norm. If they are not kneeling or sitting or standing — generally they would be standing, but they can — I suppose the bishop could say for reason of illness, or for other solid pastoral reasons they could sit. But basically there are two gestures at that moment: kneeling or standing. Bishop Brom: So you believe that it’s sufficient to say "unless the bishop determines otherwise" and, by that, meaning exactly what you just explained. Bishop Brom: You don’t see that it’s necessary to change this to, "unless the diocesan bishop determines to follow the general norm in this regard"? Archbishop Lipscomb: No, I don’t think it’s necessary to make it that explicit, highlighting the fact that we are not following the general norm. Bishop Brom: My only question, then, is — if particular norms are enacted to replace general norms, allowing general norms to be followed at the discretion of a bishop: Is that good legislation? Archbishop Lipscomb: It’s the legislation that’s offered us by the GIRM, so that particular dispositions in individual churches may be handled in a pastorally sensitive fashion. It’s not perhaps what you would require for absolute norms, but liturgy is seldom an absolute art. Bishop Brom: My only question here is whether, as a nation, we should be following in some dioceses a particular norm, and in other dioceses the universal, or general, norm. If that’s what we want as a body of bishops? Archbishop Lipscomb: That is what we are doing now, and I do not think this body wishes to say we should decree otherwise. Bishop Brom: Right. I’m only raising that question so that we all know what we’re doing here. Archbishop Lipscomb: There still remains some discretion on the part of the diocesan bishop with regard to these matters. Cardinal Bernard Law [Boston]: I’m wondering, if we pass particular norms for this nation, and if they are accepted, don’t they then become the binding norms for the Roman Missal for this country? Archbishop Lipscomb: Unless in the process of passing them we give discretion to individual diocesan bishops to make exceptions to them. Cardinal Law: Well, may I ask you then a question with regard to the preceding [#43, on posture during the Eucharistic Prayer] where it says: "… or some other good reason as specified by the diocesan bishop". It isn’t assumed there, is it, that a good reason would be the bishop’s decision to follow the general norm? He would have to have some other reason than simply to follow the General Instruction, would he not? Archbishop Lipscomb: I don’t know that we can parse it that carefully. We assume the bishop has a good reason if he chooses to follow the general norm. That’s his pastoral discretion. You cannot say: That’s not a good reason in his diocese. I assume a bishop in all these instances is dealing with the customs, the needs of his people, the practice, the catechesis that has resulted in a given liturgical action. 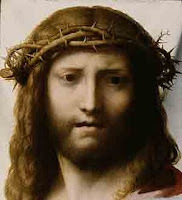 Cardinal Law: I think, you know, I — This isn’t, perhaps, the time to do it, but I would wonder with regard to that norm about the Eucharistic Prayer, our kneeling from the Sanctus through the Amen. If we’re going to have a variety of practice in this country, with some following the general norm, some following the particular norm, it seems to me pastorally we would be better served by saying we’ll all follow the general norm. Because if we don’t, the idea of a rite is being vitiated. You know, the rite is that we do it the same way. Archbishop Lipscomb: Well, the rite would be vitiated unless the Instruction itself does not permit the kind of flexibility within the rite to deal with individual churches and their circumstances. Archbishop Levada: — about when people might be impeded from following the norm that is adopted as a norm in this country. Now today it seems, in response to Cardinal Law, you have extended that phrase, "as specified by the diocesan bishop", to suggest that a bishop may exempt his jurisdiction, or change the general norm of the country for his jurisdiction. That was not the response you gave yesterday, and I think that would be a significant change from what this body adopted in 1994, and I think that what you’re suggesting now needs to be clarified for us. 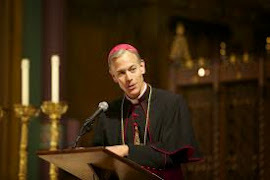 Archbishop Lipscomb: I can only offer by reason of clarification the pastoral practice in liturgies since 1994, where significant numbers of the faithful — whether it would be whole dioceses or not I am not certain with regard to a survey — but certainly individual parishes and large numbers of the faithful have been so catechized by those charged of such exercises that, in good faith, they now stand. That being the case, the bishops felt unwilling to institute this kind of a change of necessity, absent the direction of the diocesan bishop, who himself can make the concrete determination they should kneel, but [he] may also allow them to stand if that is in keeping circumstances. Cardinal Law: I apologize, Archbishop, but I really think that this is the kind of an issue that we need to spend time on, because nothing is more precious than the celebration of the Eucharist. Now, my understanding has been that the norm for this country has been the Appendix, and that we are now creating an Appendix for the new Roman Missal, and that that will be the norm. If our understanding is that a local bishop has it within his jurisdiction to set that norm aside in favor of the General Instruction of the Roman Missal itself — set the Appendix aside — then I don’t understand the point of the Appendix, frankly, if we’re not all going to be together in the way we interpret posture at liturgy. You know, you say it’s become the custom [to stand]. On what basis did it become the custom? And not only places at borders have done that. It’s been midwest; it’s been a lot of places, you know. Now, how does that happen? What is the basis upon which that decision is made? If we don’t follow the norm that we enact, then what good is it to enact a norm? If the posture that we want is either kneeling or standing, then I would submit what we ought to do is just decide as a group that we are all going to follow the General Instruction, and we’re not going to ask for a separate norm for this country. I prefer the kneeling, but I would rather have standing in conformity with the general norm, and have us all do the same thing, you know. Why is it important for border dioceses to be in conformity with Mexico rather than in conformity with the rest of the nation? Why not be in conformity with one another or with the Universal Church in this matter? Archbishop Lipscomb: I think it’s not a question of conformity to law. It’s a question of what assists those worshipping in the exercise of their assistance and celebration, participation in Mass at that given moment. That’s why the discretion of the diocesan bishop is permitted. Cardinal Law: I understand that, Archbishop. A last word, and I won’t say another thing on the document. But it does seem to me that a rite is very important, and in our nation, if you have variations of this kind in the rite, then the rite itself is undermined. And with instant communication, television, radio, and everything else, we do better on the essentials of the Eucharist to be together rather than be separate. Our situations aren’t that different. Cardinal Roger Mahony [Los Angeles]: I would like to echo what Cardinal Law has just said…. If you recall, when this came up in 1994 at the Chicago meeting, the Bishops’ Committee was actually going to propose that we follow the General Instruction, but because of some other problems with other parts of that document, the Committee withdrew that, and it was never discussed or voted on. So we just kept it by default. It would seem to me, as Cardinal Law has pointed out, we don’t want this creeping situation across the country where some dioceses are doing one thing, some are doing another. If all of us would agree to follow the General Instruction … we would be better off as a nation. Because, I know in Los Angeles, you celebrate Mass in a parish and you have two-thirds of the people standing after the Consecration by habit, and the others are kneeling. It is very, very confusing. So I think Cardinal Law has got it right. We’d be better off if we all followed this. Now, obviously I don’t have an amendment submitted, but we can offer amendments from the floor I suspect. Whether Cardinal Law would be interested in offering such an amendment to change this language, so that the posture for the Eucharistic Prayer follows the General Instruction. That is, kneeling after the Holy, Holy, Holy and standing after the Consecration. Bishop Fiorenza: Just so that everyone is clear: the general norm is standing — after the Consecration. Bishop Brom: I suggest that the attempt to balance particular law and general law at the same time becomes increasingly confusing. I think that we have to be very clear what we’re doing and this interrelatedness of particular and general with the option of bishops being able to take exception to what we do as a body. I really believe it is a disservice to the people. Cardinal Francis George [Chicago – current chairman of the BCL]: Archbishop, could you clarify the position of the Committee, which distinguishes, as is clear in the document before us, the two cases of the Canon of the Mass (the Eucharistic Prayer) and the Ecce Agnus Dei? The position of the Liturgy Committee, as I understand it, is to continue particular law in this country, which is to kneel throughout the entire Eucharistic Prayer, with the understanding that there may be an occasion, or even, perhaps, a particular place — but not a whole diocese — where, for this occasion or because of circumstances, the pastor of the diocese may say here you may stand. I would say that also, with the proviso at least to follow the kneeling regulations of the general norm, which is to kneel through the Consecration. The second case is the Ecce Agnus Dei where we did not have a particular law. The universal law said we should stand throughout the Ecce Agnus Dei . In fact, this has not been observed in most parts of the country. Spontaneously, without instruction, most people continued to kneel. And therefore, for the first time, unlike the Eucharistic Prayer which has particular law in place … in this case we’ve all been disobedient to the general norm and we haven’t had particular law to justify that. As I understand it, what the Committee is saying is we now have a particular law for the first time on the Ecce Agnus Dei. But recognizing that in good faith, some dioceses as a whole have been following the general norm, which had never been abrogated until now for this country…. The two instances are very, very different. And I think it helps our discussion, even our understanding of the relationship between the universal and particular norm, to make that distinction in the discussion as it is on paper. Bishop Sean O’Malley [then of Fall River, now of Palm Beach]: Thank you. I’m surprised to hear today there are so many exceptions to our particular law in the United States. Practically everywhere where I have celebrated Mass throughout the country, unless there were no kneelers in the Church, people would kneel for the entire Canon [Eucharistic Prayer]. I think we have to think long and hard and have very good reasons for changing something that is in place. We have made so many changes in the liturgy in the last twenty years. And I think our people are shell-shocked. We need sort of a moratorium. In my diocese, and in most dioceses that I know of, the people are kneeling from the Sanctus until the Our Father, and to change to the general norm now is not a very pastoral idea. Where we have people used to a custom, we should leave it that way. This is our law and most people are following it. Why change to the general law just for a few exceptions? The same thing is true of the prayers; when we have a translation that everyone has memorized, I don’t think we should be in a hurry to change the translation. Archbishop Charles Chaput [Denver]: Archbishop Lipscomb, would it be possible for us to consider an amendment which would just take out the part that reads: "or some other good reason as specified by the diocesan bishop"? It seems like the reasons of health, lack of space, number present really covers it. And of course if there’s another circumstance the bishop on his own authority could judge because of pastoral prudence. But to put that phrase in would give people who want to change this on principle the grounds in our local law to justify that. And I think that’s unfortunate, really. I think if we agree to make kneeling the norm for the United States, we should just do that, and eliminate this phrase that allows people to do what they want. We ought to either debate the issue here, and as Cardinal Law says, go in the direction of the general norm, or we ought to really agree to be brothers in this and really follow the direction of the majority by not making our own opinion the exception that we can follow. Cardinal Theodore McCarrick [Newark]: I have listened with awe, not untinged with anxiety, to this discussion. I appreciate Cardinal Law’s intention to bring us all together, but we’re dealing with something here which really affects the piety of our people. And I would think that a decision that we would make abruptly at this time, without any catechesis, without any preparation, would be a very unwise thing to do…. I think we really need to listen to our people; we really need to prepare them for any changes we might want to make. This is something that really affects them very, very deeply and very, very dearly. I just have a concern that if we do something in the course of fifteen minutes here at this meeting that could disrupt the prayer life of our people, liturgical practices of our people, we’d be making a great mistake. So I hope that we will not pursue any determination to make a change at this time. Archbishop Lipscomb: I think that the results that you have before you, in the determinations granting a certain degree of flexibility, is exactly what the Committee considered when they tried to craft something that would deal with our entire nation — establishing a norm, giving the possibility as the GIRM itself says that a deviation from the norm be retained if it is for the good of the people, and committing [this] to the care and judgment of the diocesan bishop, who should have a conscience and should be doing something about unity — without uniformity — but a certain sense of unity for the sake of the people. If there is one plea that seems to come again and again from the people that I have heard it’s: Don’t change more. And that does not necessarily mean going to the universal law, which would be a significant change for many people for whom the piety of kneeling immediate after the Holy, Holy, Holy has been a matter of their growth from their childhood. For us suddenly to tell them, "Now you have to stand" is going to say things to them theologically and devotionally that I don’t think most bishops want to say. We did consider all of this. It was debated long and loud. We heard different bishops and especially bishops for whom the standing is also a norm of sorts, because of the way their parishes have developed. I expect there are other dioceses in which catechesis has engendered the standing as a counter-custom or -norm to the particular law of the United States because it was felt that this was more in keeping with what the Church Universal wanted. We are part of the Church Universal, but we are also part of the Church in the United States, and we are doing our best to establish norms for the Church in the United States that will most effectively help our people — and do the least damage — to enable the liturgy to do what it should. Near the end of the debate on the "American adaptations", Cardinal Mahony again asked Archbishop Lipscomb for an interpretation of the limits of a diocesan bishop’s power to change national norms. Cardinal Mahony: I would ask for an interpretation of something that you said, to make sure I got this clear, in our language. I think you said that a diocesan bishop could not do this for the whole diocese, but could do it for one parish? The "discretion of the diocesan bishop" really means that. But it’s not just whatever the bishop wants. He grows out of a tradition; he grows out of a rite; he grows out of norms, just like all the rest of us. At a press conference at the end of that session, Archbishop Lipscomb gave further clarifications. Colin Donovan (EWTN) asked about postures. He said that it seems there is no desire to force new postures on people, and he asked about kneeling for Communion: "even if kneeling is not the norm, will those who kneel now be left undisturbed?" Archbishop Lipscomb responded that there is a need for "catechesis" on standing. He said to ask those who kneel why they are doing it, and try to counteract this by explaining why they should stand. But he stressed that "refusing Communion to those who kneel is a greater fault than kneeling". Donovan: Does a bishop’s rule take precedence over the customary practice of people? Archbishop Lipscomb: [This] would have to be justified. He cannot just simply say: "Let this happen". He has to give sufficient pastoral reasons. He has to give the kinds of explanations that would make it, not only reasonable, but inviting to people, especially if he is going to change something that already exists. And once that is done, of course, presumably — This is a kind of catechesis, and that should take place in such a way that the explanation will prove to be reasonable. And he should only do it if this is going to assist — as we’ve said on a number of occasions in different ways this morning — if it assists in the piety and in the celebration of the Eucharist of those who are attending. Jerry Filteau (Catholic News Service) addressed a question to Archbishop Lipscomb on the same topic: It’s a two-prong question. First of all, a clarification on past norms and practice. It’s my understanding that the introduction of the language, "The posture for reception of Communion in the dioceses of the United States is standing", is a new particular norm, and it was neither a general nor a particular norm before. So my first question is, historically, is that correct? Secondly, is this decision due to the General Instruction statement that the Conference of Bishops should decide the posture? Is that the reason that this norm is now adopted, or is there something else going on here also? Archbishop Lipscomb: Well, it’s not a brand-new norm in the sense that the practice is so diverse. In almost all of the dioceses that I’m familiar with — and bishops travel around quite a bit to public ceremonies — generally, the norm for receiving Communion is standing. There can be different circumstances. Where Communion rails exist in churches that have kept them for good reason, there you find occasionally people will kneel at the Communion rail. That’s perfectly acceptable. So I don’t think it’s a brand new norm. I can only say that I inherited a diocese in 1980 from Bishop John L May, who was transferred to Saint Louis. And by the time I arrived on the scene generally the sense that — and I don’t know whether he expressed this by diocesan determination, one of those acts of discretion on the part of the bishop — but by that time almost all Communion generally was being given to people standing. And I think this takes place — has taken place — throughout the United States. It can be a new norm, but it does not represent a new practice in the Church. Jerry Filteau: Is the reason standing is the norm now the fact that the GIRM says it is for the conference of bishops to decide posture? Archbishop Lipscomb: But the reason is because that’s what the posture is. And it kind of codifies it, and makes it clear to everyone. This is the expectation, though, as I said, there are areas where it can be somewhat mitigated for the sake of pastoral reasons. It was apparent at the June meeting that there was substantial disagreement among the bishops on the question of a diocesan bishop’s right to make changes in liturgical practice. The same issues were revisited at the November meeting, where the bishops also approved a new document on Church architecture, Built of Living Stones. Liturgy Committee chairman Archbishop Oscar Lipscomb again introduced the amendments that several bishops had proposed and that the Committee had either accepted or rejected, according to the standard procedure. Archbishop Lipscomb observed that "several bishops have inquired concerning Cardinal Medina’s requirement that mention of the diocesan bishop be omitted from the adaptation dealing with the posture of the faithful during the Eucharistic Prayer. I would reiterate the Cardinal’s own words that ‘mention of the bishop is unnecessary since it is already implicit in the general law within reasonable limits’". Bishop John Kinney (Saint Cloud) was the first to raise the issue of a diocesan bishop’s authority to make changes in the liturgical rules, and asked for reconsideration of an amendment he had proposed. Bishop Kinney: The import of my amendment was not that it would revert to the Conference of Bishops, but I believe that in reality it’s really a matter that should be up to the diocesan bishop. And I am fearful for the kind of ways in which we are limiting the authority of the diocesan bishop. So my amendment really would be to substitute "diocesan bishop" and strike "the USCCB Committee on the Liturgy" in this statement. I realize that that does not jibe then with the document, but I would like to test the body as to their feelings about the role of diocesan bishop in this specific amendment. Archbishop Lipscomb responded that the BCL had decided "to let the document stand on its own as the ‘Conference of Bishops’". Archbishop Lipscomb: This was one of the specific points that Cardinal Medina noted in his letter to us, and we felt that we ought to respond to it by honoring it. The Conference of Bishops can, in its turn, make other provisions for this once this general norm becomes particular law, and is inserted into the Missale Romanum. But for us to try to direct it here? I have a suspicion that if we send it back to Rome they will simply change it on their own. Bishop Kinney: Could the Conference of Bishops, in turn, in their understanding of this, allow it to the diocesan bishop? Archbishop Lipscomb: In my judgment, the Conference of Bishops can do anything that the majority would like, subject to higher approval or rejection. And as I said in the original presentation, I would hope that when this passes — assuming it will pass — that the Conference of Bishops will devise some kind of a mechanism. We had put in at first the Committee on the Liturgy, but I cannot imagine this Conference of Bishops dealing with these kinds of provisions for dioceses, which ought properly to belong to the diocesan bishop, so I think the genius of the Conference will respond, in time, to that. I don’t know quite how to do this because it doesn’t seem to be a part of what we’re at. That is, the question of the posture was left to the decision of the bishop if there were to be any exceptions during the Eucharistic Prayer. But no amendment really deals with that. The diocesan bishop was simply dropped. And you said because this is in the general norms. But at the same time you said that the Cardinal has conceded that these would be inserted into the general norms, where it’s stated — but now it won’t be stated, because we don’t want it stated. I’m just totally confused as to why that is being dropped, because you’re also dropping the general norms for the Universal Church, and only the amendments appear in the document. Isn’t that correct? Archbishop Lipscomb: Oh no, no. The general norms will be part of the document that is published in the Roman Missal. These [adaptations] will be inserted into the general norms as particular law for the United States. Questions about the final printed form of the IGMR resurfaced throughout the discussion. The original unamended IGMR would no longer be published separately in its entirety in the new Missal, with the "American appendix" appearing at the end, as at present. Some bishops apparently feared that incorporating the American adaptations seamlessly into the IGMR text would make it more difficult for a bishop who would rather follow the "universal" or "general norms" than the rules for the United States. Cardinal Francis George [Chicago; US Representative to ICEL Board, consultant to the Liturgy Committee (now chairman)] asked for a clarification about the format. Cardinal George: Now, I don’t have the GIRM for the Universal Church in front of me, but my understanding of it was that [the adaptation] is interpolated right after the paragraph that says you stand through the Eucharistic Prayer except for the words of institution, the Consecration, where you should kneel; using our terminology after that. It [the IGMR] also says, this time around, where it is the custom the people may kneel throughout the Canon of the Mass, the Eucharistic Prayer. Then we interpolate "in the dioceses of the United States of America…" this is, in fact, the particular [US] law — with exceptions that the general law gives us. Will it appear that way in print? Archbishop Lipscomb: That’s my understanding of it. 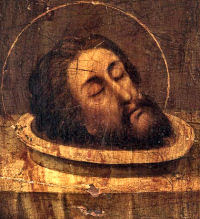 That was the way it was presented to us in the Cardinal’s letter. Archbishop Charles Chaput [Denver] asked for clarification on an amendment proposed by Bishop Edward Clark [Aux. Los Angeles] that after reception of Communion all are to remain standing until the last person has received. Archbishop Chaput: It’s not my amendment, it’s Bishop Clark’s. The Committee says it has been accepted, or subsumed into amendment 2, but I don’t think it has been. Because number 2 says, "The faithful may kneel or sit during the period of religious silence after Communion". And Bishop Clark is suggesting that no one sit or kneel till everyone receives, so it really isn’t — I mean it’s kind of ignoring the question, and for clarity I would just ask, I wanted to know, why does the Committee think it really is answering his question with the wording of number 2? Archbishop Lipscomb: Well, I [reads] "They may kneel or sit following the reception of Holy Communion", and instead say: "They should sit during the readings before the Gospel", and so forth, "and if this seems helpful, they may sit or kneel during the period of religious silence after Communion". Archbishop Chaput: And what Bishop Clark is suggesting is that nobody sit or kneel until everybody receives; and then they can. So they’re not really the same issue it seems. Archbishop Lipscomb: Well, again, if that was the bishop’s intention I don’t think we would accept that as practice for the United States — until everybody goes to Communion then you either sit or kneel, that everybody remains standing until then. I just don’t think that follows the practice of most of our churches in the United States. Archbishop Chaput: See, I agree with you, but I thought this was confusing so I was just asking for a clarification. So the period of silence can begin as soon as you receive, if you want to go back and sit down, or kneel. Archbishop Lipscomb: You can sit down, or you can kneel — or you can stand. That’s included previously. We thought the bishop’s point was about standing: that they be permitted to stand. And the standing is permitted in the preceding paragraph where it deals with posture, and standing is the general rule for the universal Church. At the time Archbishop Lipscomb made this response, that the "general rule for the universal Church" is standing, he had not seen the final version of the IGMR, which added a clause to §43, stating explicitly that where kneeling is the custom, it is "laudably retained". At the end of the November 2001 meeting, the bishops voted to remand the text of the IGMR to the International Commission on English in the Liturgy (ICEL) for review of the translation in light of Liturgiam authenticam. The English translation has not yet been approved. Can a bishop change to the "general norm" if he wishes? A discussion ensued about whether a bishop may determine that the people are to stand during the Eucharistic Prayer, although the adaptation calls for kneeling throughout (from the end of the Sanctus to the end of the Amen). Archbishop Weakland wondered if the un-adapted IGMR were not printed in full, that is, if it is altered by incorporating the US adaptations into it, could a bishop substitute the "general norm" for the "particular" (i.e., US). Later he said that his concern was only the bishop, not a parish priest, could deviate from the US rules. Several bishops said that while a diocesan bishop might deviate from the US norms for special circumstances, this should not imply that he can change them permanently, or for the entire diocese. Bishop Robert Banks (Green Bay) proposed a clarifying amendment: I think what the majority of the bishops are trying to avoid is a situation in which either a bishop or a pastor will interpret "some other good reason" to be something like: "Resurrection spirituality is a good reason for us to be standing at all times during the Eucharistic Prayer". I think that’s what we are trying to avoid. Personally, I don’t think either accepting or rejecting Archbishop Weakland’s amendment is going to attend to that particular concern. I think it could be attended to by adding: "except when prevented on occasion by reasons of health, lack of space, the large number of people present or some other good reason". The words "on occasion" says that this is not to be a general practice because of "Resurrection spirituality" or some other view of the liturgy. The bishops accepted Bishop Banks’s solution, limiting changes by adding "on occasion", by a vote of 181-31. And the revised American adaptations to the IGMR were approved by an overwhelming majority: 207-7; and they subsequently received the Holy See’s required recognitio. But even though very few bishops dissented from the majority, at present there is considerable variation in the way the rules are being applied. Some bishops are "strict constructionists", directing that standing is the only posture to receive Communion; while others are more permissive, especially where kneeling to receive has been an established custom. Some bishops have ruled that only a "simple bow" to the Blessed Sacrament is permitted; but others are not restrictive concerning the gestures of reverence people offer. Some bishops have decided to eliminate all kneeling after the Eucharistic Prayer, and have issued edicts that their people may no longer kneel after the Agnus Dei and immediately after receiving Communion (an almost universal practice in the United States) despite the fact that these periods of kneeling have been strongly encouraged both by the Holy See and by the conference of bishops. It is significant here that IGMR 42 stresses that the movements and postures of all — clergy and laity — should combine beauty and "noble simplicity" so that the "full meaning" of the Mass is conveyed and the "spiritual good of the people" considered. 42 The external actions, movements, and posture of the priest, the deacon and the ministers, as well as of the people ought to draw things together in such a way that the entire celebration shines with beauty and noble simplicity, that the true and full meaning of the different parts of the celebration is perceived, and that the participation of all is encouraged. Therefore, attention must be paid to what is determined by this Institutio Generalis and by the traditional practice of the Roman Rite, and to what pertains to the common spiritual good of the people of God, rather than to personal inclination or arbitrary choice. Traditional practices are to be respected and fostered — and "personal inclination" or "arbitrary choice" is not to be imposed. Adoremus has received dozens of communications from people who have been forbidden customary practices of Catholic piety — and sometimes publicly reprimanded. As yet there has not been a single report of anyone being scolded for not bowing before receiving Communion, or for standing when most others are kneeling. If a bishop objects to Catholic traditional piety, is he free to impose his views on his diocese? Can he pick which of the liturgical norms he will observe or which traditions he will forbid? What effects will this have? The Eucharist is the sign of unity of the entire Church — past, present and future — and of the one Christ. The bishop is responsible for the integrity of the Liturgy within his own diocese. But the Mass is public worship; it does not belong to the bishop alone. Do bishops, as well as clergy and laity, have obligations of obedience to the rules? Obligations of charity to their people? So far, this matter — acknowledged by several bishops during their discussions of the IGMR and adaptations — remains unresolved. Recently, we have received reports from several dioceses that their bishops have been very rigorous in eradicating periods of kneeling during Mass, apparently convinced, as some liturgists insist, that kneeling is a "medievalism" that desperately needs drubbing out of the "modern" Church. To say that this is creating anguish and resentment among the people affected by such actions of bishops is to understate the situation. Ironically, though logically, it is precisely those Catholics who most strongly affirm a bishop’s authority and take the concept of obedience to the bishop seriously, that are the most likely to kneel at Mass. Their distress is genuine; and concern about what these liturgical divisions portend for the future seems justified. We are back to Normal. Thank You Archbishop Sample. This change will unite us with the Universal Church, the majority of the Dioceses in the United States and the other diocese (Baker) in the State of Oregon. More importantly, it will aid in the reverent participation of the Holy Mass and increase our devotion to the Holy Eucharist. After the Lamb of God, the faithful should remain kneeling until they move from their place to receive Holy Communion. The tradition of remaining kneeling after the reception of Holy Communion until the priest has returned to his seat is to be commended. Those who cannot kneel due to infirmity or other impediment should be seated so as to not impede the view of those who kneel.